I think you have already heard of Pinterest, but for the sake of people who don’t know what Pinterest is. Well, Pinterest is one of the known social media these days that it is continuously climbing up to more than 10 million users since it started in 2010. What’s unique with Pinterest compared to Facebook and Twitter is that there’s no status (and that’s what I actually hate about it). But really, Pinterest is more on images and less texts. What you can do in this social media is that you can share and post IMAGES on your account. You can actually upload a photo on Pinterest yourself or (what people usually do) PIN the images from websites and post it on the blog. As a website owner or a Blogger you can totally take benefit from this through SHARING and PINNING your blog post IMAGES on this social media. Images is one of the BEST WAY to GRAB the attention of website visitor who’s scanning (not reading) your website. In this way, through grabbing their attention on your images they get interested and intrigued by your post and want to read it. YOU said SHARE/PIN the IMAGES, is that it? Did I say that? Well, you’re actually right. Though we’re just sharing or pinning the images people GET intrigued by our images and want to find out where you got these images. For those who are already using Pinterest I think you are already aware that when Pinterest users click on the images from your board it is actually linked to THE WEBSITE where you got the image from. I think you can also pin VIDEOS too and tried it once, so yes it’s not just limited to images.. videos included! Traffic is not literally traffic on the street where cars are bumper to bumper and people are getting pissed, sleepy, tired, angry, etc. But online, we use the word TRAFFIC to refer to the amount of people visiting your website. So probably some advertisers will ask you “how much traffic do you get each month?”.. No, the advertiser is not asking you to go to the street and count the cars or experience the traffic yourself and count how many times a month you get stranded in the middle of the traffic. But what the advertiser is actually asking you is that the amount of visitors you get each month. Anyway, before we get lost with our topic.. Yes you can actually gain traffic on Pinterest. THAT’S NOT JUST IT! You can actually make money by just using, sharing, pinning your business products, services or even your affiliate products. Some people even pin amazon products and that’s how they make money from it. I can’t go into details with that in this post since this is an introduction, but hopefully we could discuss it here soon at Bloggers Tech. Another feature that Pinterest have that is actually similar to Twitter is the FOLLOW. Yeap people can follow you but all they can see are the images you have post on your account. The good thing about it is that Pinterest is also thinking of having or letting people organize their images. You can create boards, name it, put some description and categorize it. What’s great about this is that people who are interested on a certain category will be able to see your pins too if they visit and view the category. Because Pinterest is really getting more and more people to use the website, a lot of other wanna bees copy Pinterest. For me it’s okay if you copy the idea but someone or some people are really making a total clone of Pinterest, even the font used or the logo is almost the same. Good thing we can read and can tell immediately through reading the logo. Gosh. 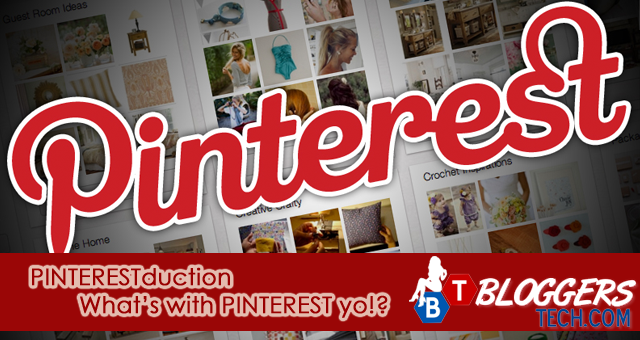 More topics about Pinterest will be discussed here in Bloggers Tech. 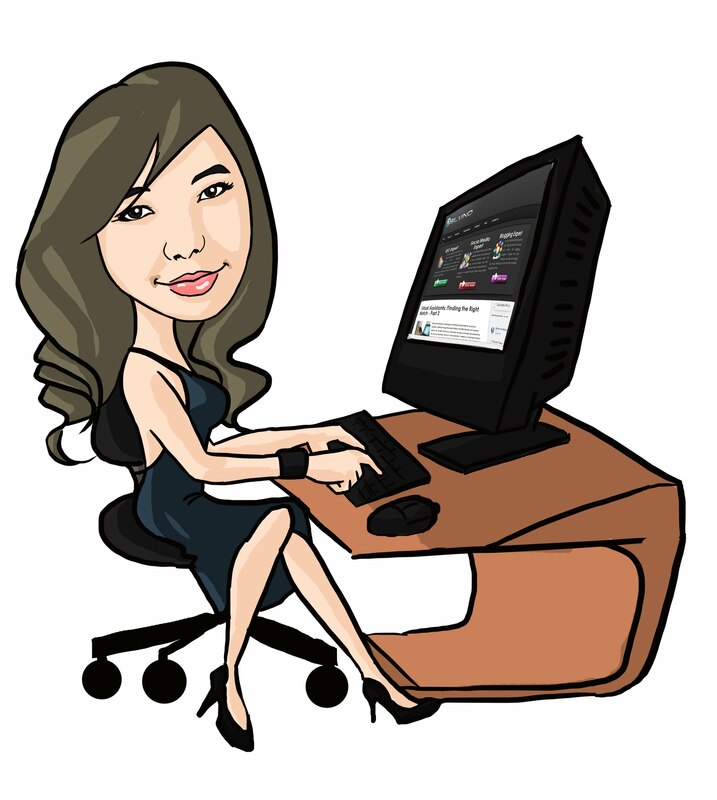 So I totally suggest you subscribe and be up to date with the blog and learn more about the web, blog and blogging, Blogspot/Blogger, technologies, software and more!